This time out I'm here to take a look at one of the war-machines available from the Kings of War Dwarf range from Mantic Games. Today I'll introduce you to the Dwarfs Iron Belcher Cannon set. 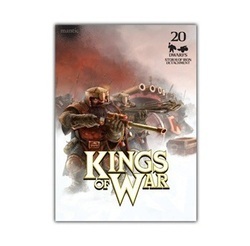 Like all of the Mantic Games Kings of War products, this set also comes in a VHS-cassette-like clam-shell box, with the sprues sandwiched between two pieces of thin black foam. Compared to the other sets I've reviewed previously, this is a rather small set. Quite frankly, this is the smallest set I've seen from them yet overall. Once inside the box you'll find three sprues, two of the standard Mantic Games 20mm square bases on them, another sprue with the six cannon parts on it, and the last sprue features the two crew men. Of course there's also a little poster in the box as usual, and one Mantic Point. The war-machine itself can be assembled one of two ways. You could create the single barrel Iron Belcher, or a multi-barrel organ gun with this kit. Really it's a matter of which barrel assembly you choose to use. I can really see this set benefiting from rare Earth magnets, giving you the means to swap out the barrel assembly to which ever you feel like using. Since the only thing that changes to define this as one or the other is that assembly, converting this for multi-use versatility shouldn't be to tough of a task at all. Clean up and assembly really is quick and painless with this set. The main chassis requires you glue the two wheels in place, then simply set the barrel assembly you want onto the main chassis to glue it into place, and the cannon is done at that point. Very minor mold lines are present, which are easily removed with a hobby knife or file. The crew models also come together rather quick. They share the same design as the other Kings of War Dwarf models I reviewed previously. Simply glue the upper torso to the lower torso, and choose a head for the one without a head, from the three head options provided. Then you have the choice of which arms to use, and I opted for the long stick that looks like it's used to light the cannon to fire it, and a left arm holding a pipe. The other arm options provided include a left arm pointing, and a right arm holding what looks like a scrubbing brush of some sort to maybe clean the breach of the cannon out. There's also a long two handed hammer on the sprue, and a hilarious set of dwarf boots, with leg bones sticking out of them, as if the cannon misfired with a dwarf in front of it, and that's what's left. The hammer is a pointless addition, as there's really no way to use it on either of these two models, that is without extensive modding. I took the gory boots piece and glued it on top of the ammo chest that's also included, to set in front of the cannon. In doing so it looks like a dwarf was standing on the chest to reach into the barrel, and it went off by accident. Once again they've recycled the 2x head choices found in the IronClad and IronWatch sets here too. I didn't use either of those, instead I opted to use the 3rd head that's exclusive to this set, which has no helmet. The 2nd crew model is complete in just two pieces, as the upper half has a head, arms and cannon shell already sculpted on to it, so it was simply a matter of gluing the upper half to the lower half and he was complete. Overall there's a lot less options with this set. They throw us a few bones in the way of the gory feet, one set of spare arm options, and means to assemble the cannon as one or the other, but that's really about it. If you're already building a Dwarf army from the Mantic Games Kings of War product range, I can't see being without a few of these sets. As reviewed this single cannon set carries a price-tag of 8.00 GBP, which equals about $13 USD converted. However Mantic Games also offers two sets just like this one in a single package called the Iron Belcher Battery for 12.50 GBP, which equals a $20 bill in USD, and that's by far the most cost effective way to pick these up overall. As I've said in my other reviews of the Dwarf range from Mantic... the look and feel of these dwarf models is quite unique, and very different than what you may have seen elsewhere in the past in 28mm scale. I like them, but they don't particularly look good mixed in with GW WFB Dwarfs or GW's Lord of the Rings dwarf models either. In an all Kings of War Dwarfs exclusive army they could be quite useful as a proxy WFB dwarf force, and without a doubt for Mantic Games own Kings of War game, which the rules are now complete for. While the idea behind the VHS-like cases is to double as a carrying case once your models are built and painted, this is one set that won't fit back into the case after it's all said and done. The cannon is simply too big to fit inside and allow the case to close. The way this set is designed, if you didn't glue the barrel assembly in place, even with a little blue tac, or rare Earth magnets you could get some double duty out of this set, with the means to use the cannon as a single cannon, or an organ gun. The fact that it takes no longer than a few minutes to liberate all of the parts from the sprues, and have the models assembled and ready for primer in just minutes is the biggest plus with this, and any of the other sets I've seen so far from Mantic Games. The Iron Belcher Cannon set may not be for everybody, but the budget minded gamer won't be able to resist the price point as which they sell for in the Battery set, and it's hard to overlook how quick and easy the kit comes together. 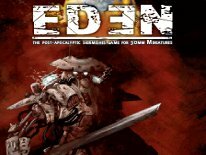 If you're into building fantasy themed armies fast, Mantic Games is definitely a company who has products you should consider looking into.